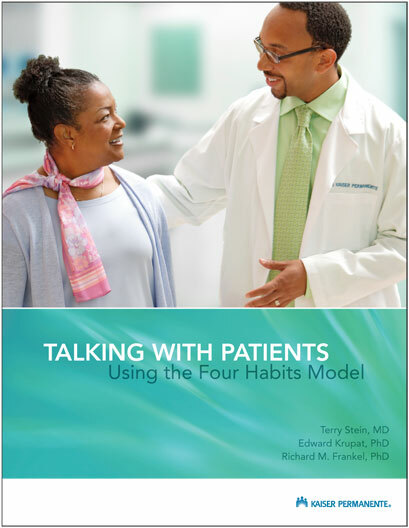 Talking with Patients Using the Four Habits Model offers the busy clinician a practical, efficient, and evidenced-based approach to interacting with patients. The monograph also includes a summary table of the Four Habits Model to use as a stand-alone reference. "Using the Four Habits Model strengthens my relationships with patients AND saves me time." Click here for ordering within the Kaiser Permanente Northern California region. Click here for ordering from another Kaiser Permanente region or if you are outside of Kaiser Permanente.